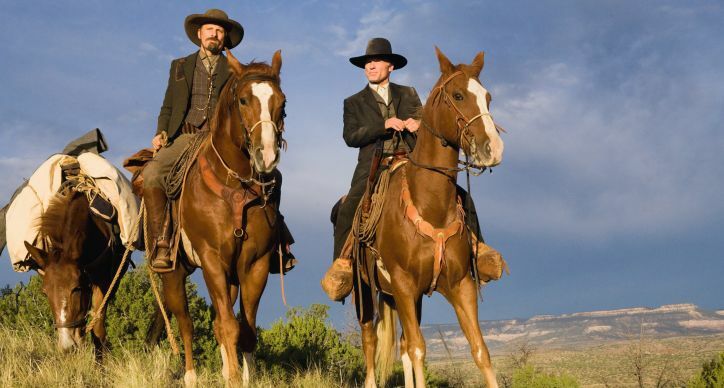 Viggo Mortenson rides Cache, an AQHA Stallion, and Ed Harris rides Tye, a gelding. Both horses are red with splash/sabino markings. © 2007 New Line Productions Inc.